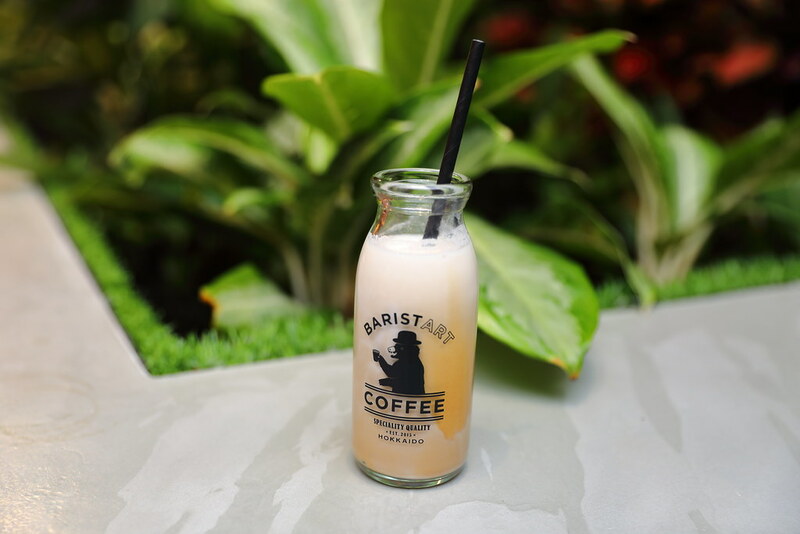 The popular Baristart Coffee from Hokkaido has opened its first-ever overseas cafe in Singapore, offering exceptional Hokkaido milk quality, BIEI Jersey Milk from the Brown Jersey cows which is left with around eight hundred such cattle, making up barely 1% of the cow population in Hokkaido. I started with the Flat White ($6.70) which offers 3 types of beans - Baristart Blend and 2 single origin beans that will change every month. 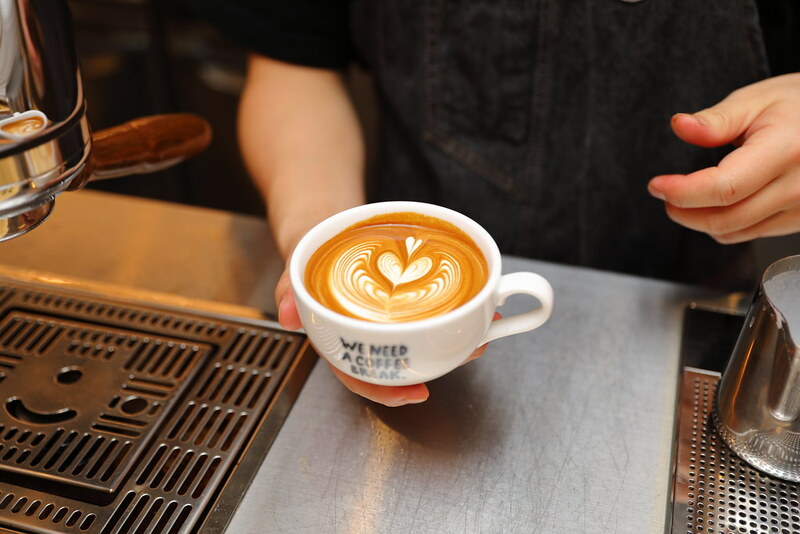 Indeed the BIEI Jersey Milk gives the coffee a rich and creamy finishing with a tinge of sweetness. I like my coffee to showcase the characteristic of the coffee beans hence I am not sure I really like it. Don't get be wrong, it is still a good cup of coffee but I felt that the milk is more than a supporting role in this case. The best way to appreciate the sweet and creamy BIEI Jersey Milk is to try the BIEI Jersey Milk Coffee ($7.50). It is like having a coffee flavoured milk. 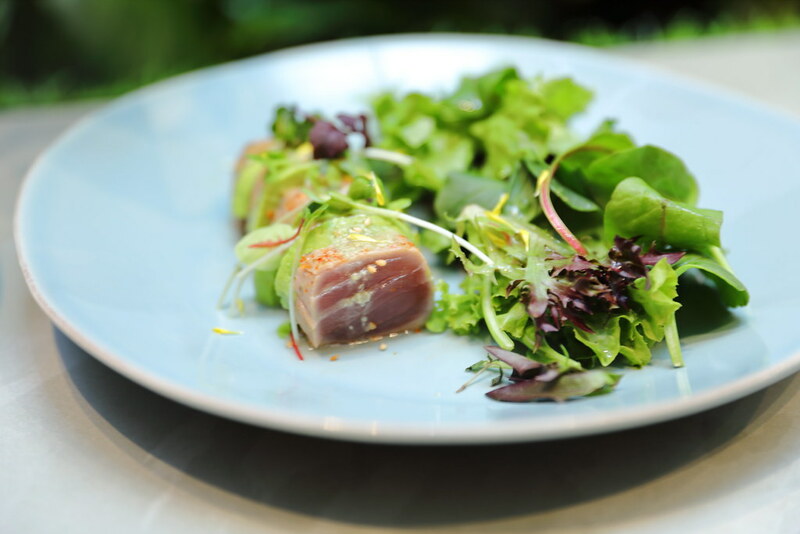 For those that like to have something clean and healthy, the Tuna & Avocado Salad with Wasabi Dressing ($14.80) will be a good option. It is a decent dish but it doesn't quite excite me. The Tonkatsu Sando ($16.80) which comes with tender pork cutlet and coleslaw, sandwiched between 2 slices of fluffy bread is pretty enjoyable. It even comes with french fries for a complete meal. The pasta at Baristart Coffee is quite decent too. 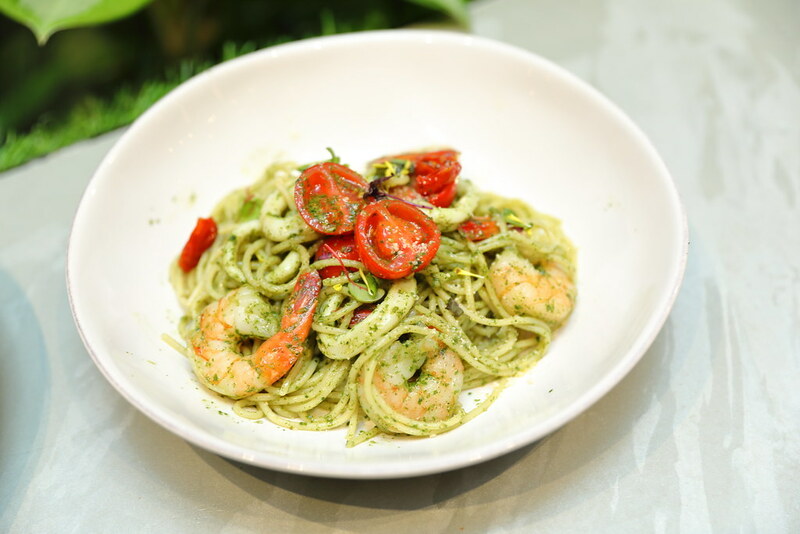 I tried both the Hokkaido Carbonara ($17.80) and Spaghetti Seafood Shiso Pesto ($17.80). 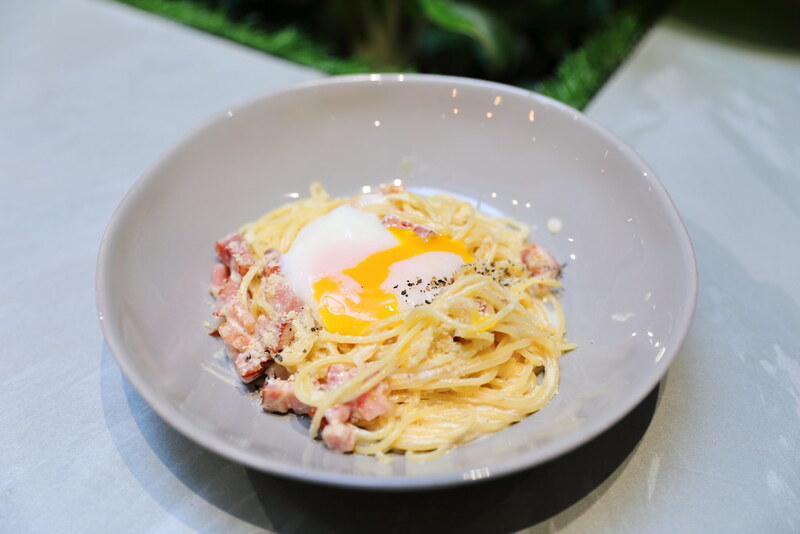 I preferred the carbonara more for its creaminess, partly for the fact that I am not a pesto lover. The creamy sauce is a result of the concoction of their signature BIEI Jersey Milk. 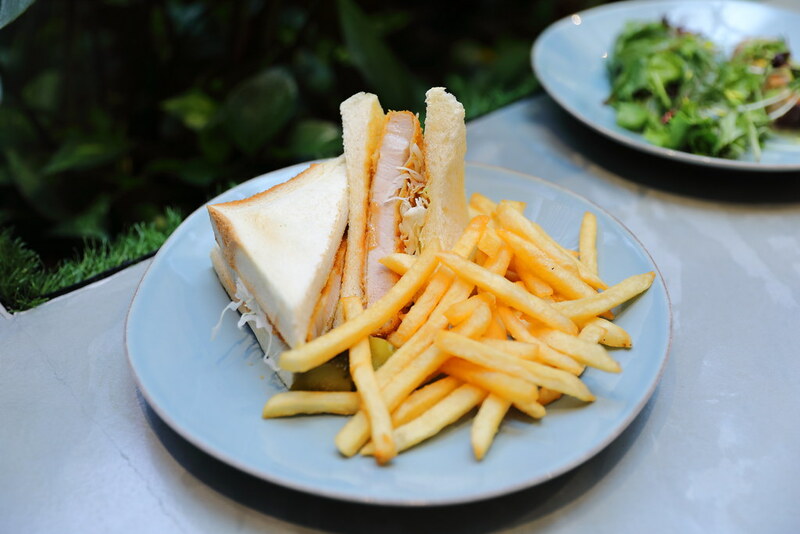 Perfect for the office workers in the area looking for a quick lunch is the Obihiro Butadon ($18.80). 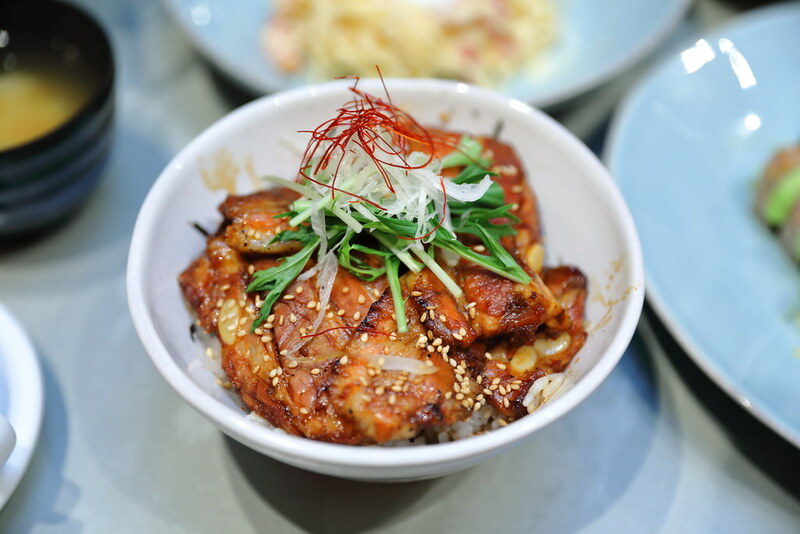 The comforting pork rick bowl comes with slices of sweet soy sauce Kurobuta pork belly on top of a bowl of fluffy white Japanese rice. A must try at Baristart Coffee is their Cream Puff ($4.50/one, $12/three). 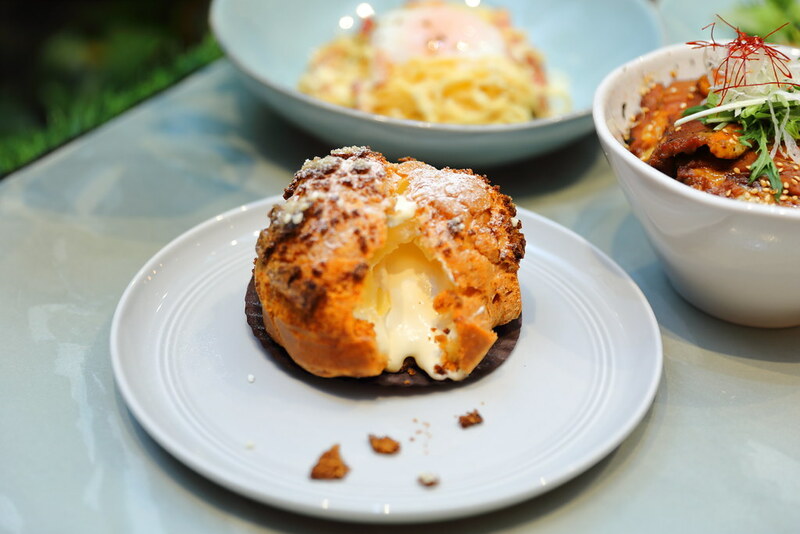 It may seems like just another cream puff but this is loaded with luscious Hokkaido BIEI Jersey Milk custard cream, that is both rich and creamy with delectable crisps and sugary bits on the pastry. 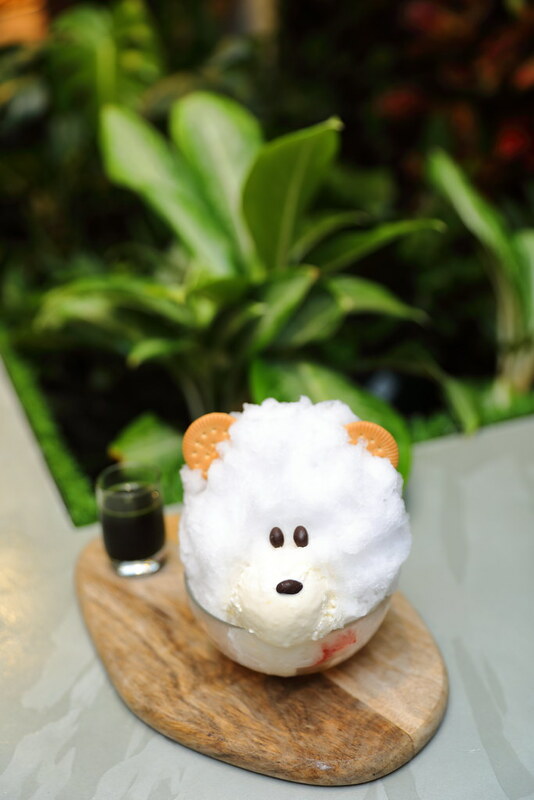 The bear shaped Shaved Ice - Shiro Kuma ($9.80) is drizzled with Hokkaido BIEI Jersey Milk and comes with vanilla ice cream. Underneath in the bowl is a plethora of colourful fruits such as orange, mango, white peach and strawberry. 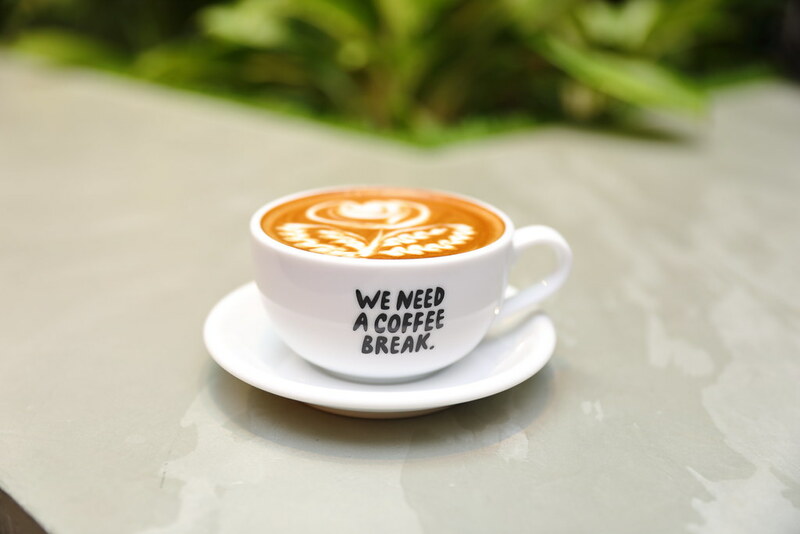 Guest can have a choice of coffee, strawberry, mango or green tea flavoured homemade syrup that is to be poured over the shaved ice and enjoyed together. 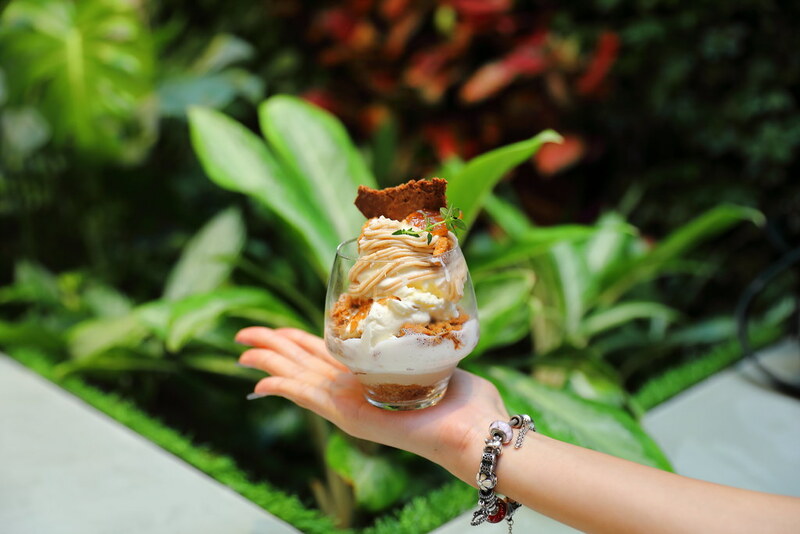 Served in a glass is the Chestnut & Mont Blanc ($8.80) which comes with layers of houji tea pudding, vanilla ice cream, chestnut cream, mont blanc cream, chestnut patisserie cream, chestnut bits, feuillantine and buttery cookies. Have everything together for a multi textural enjoyment with the different flavours coming together. 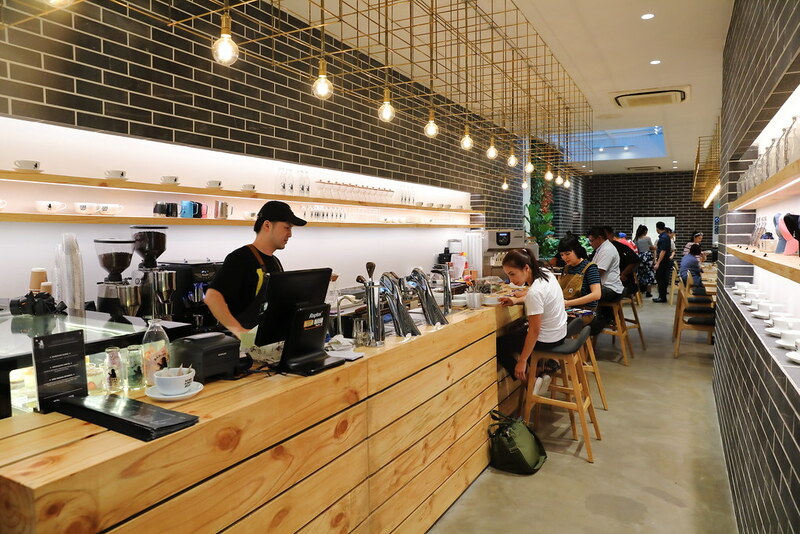 While the main focus of Baristart Coffee is to showcase the coffee with their Hokkaido BIEI Jersey Milk, guests are assumed of a complete dining experience here. Besides coffee, guests have a a full range of mains to desserts which makes is an all day cafe to visit.